NOTE: To enter this week’s giveaway for prizes from BasicGrey, fill out the form at the bottom of this blog post. 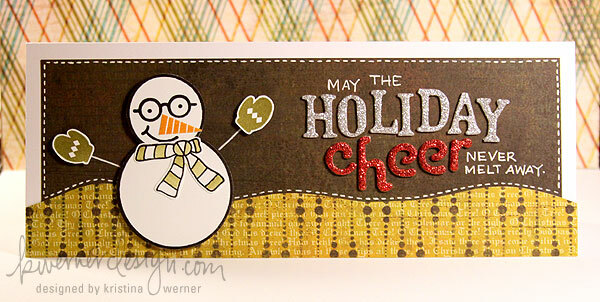 Anyhow, for Card 16 I used BasicGrey’s Snowman stamp set, paper from the Jovial collection, and some American Crafts Thickers for some glitter-y goodness. Disclaimer: The BasicGrey supplies used in this post/video were provided by BasicGrey. All other items were personally purchased. Moo.com Minicards Review + GIVEAWAY!